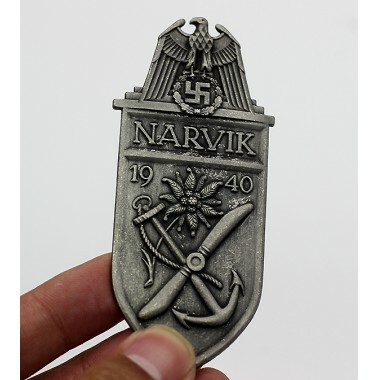 Get the best Narvik Shield in Silver on the market at the best price,price includes shipping. 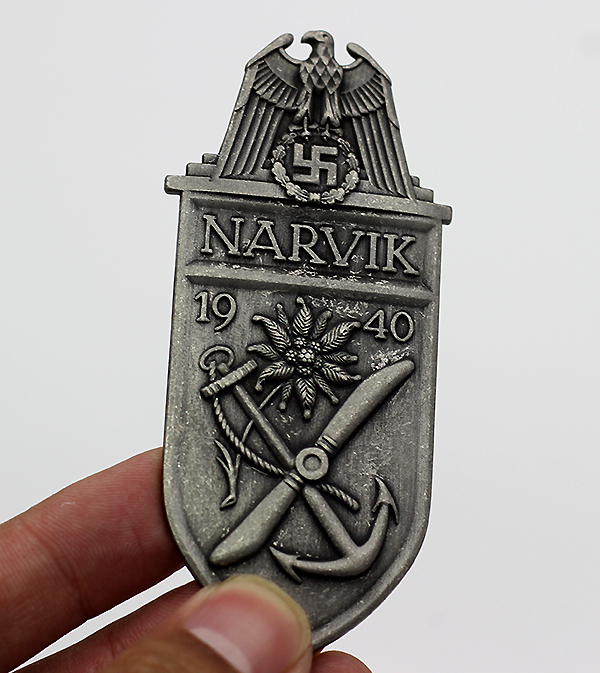 Narvik Shield was instituted on 19 August 1940,to award officers and men of the Kriegsmarine, Luftwaffe or Heer that participated in the Battle of Narvik between 9 April and 8 June 1940. 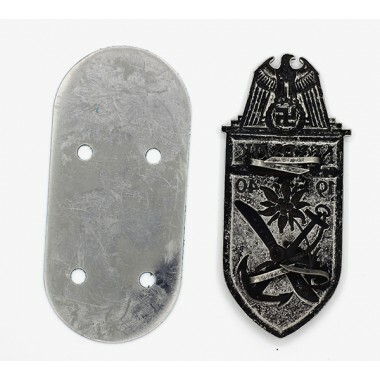 It was worn on the upper left arm of the uniform. 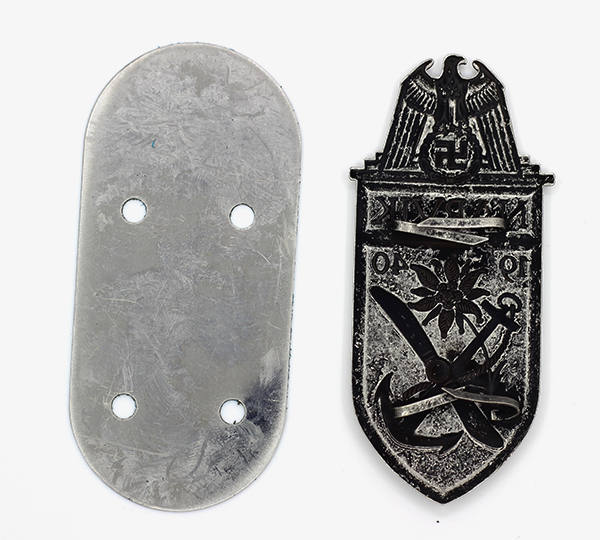 If a second shield was awarded to an individual, both shields could be worn, one above another seperated by 5mm of space.